SAN MATEO, CA--(Marketwired - Mar 30, 2016) - In the last of a series of articles1 analyzing the results of the 2015 Global Fraud Loss Survey2 published by the Communications Fraud Control Association (CFCA), Dr Ian Howells, CMO at Argyle Data, provides a perspective on the state of mobile communications fraud and predictions for the future. "Our analysis of the CFCA data highlights international revenue share fraud -- IRSF -- as the most pressing and growing problem for the mobile communications industry," said Dr Howells. "Attacks are made against mobile consumers in the wealthiest countries in the world by criminals from all over the globe. The top five countries where fraud terminates are Cuba, Somalia, Bosnia and Herzegovina, Estonia, and Latvia. The mantra 'Think global, act local' is key to deflecting this type of crime." Dr Howells' analysis of the CFCA figures shows that cyber criminals are principally targeting North America and Western Europe. "Criminals will always go to where the money is," Dr Howells said. "Wealthy consumers' desire for the latest smartphone technology provides another incentive for crime rings to focus on thriving, first world countries. Even when you aggregate the revenue losses from subscription fraud and dealer fraud, the top two regions remain North America and Western Europe." Dr Howells' analysis of CFCA's data indicates a 500% growth in international revenue share fraud (the artificial inflation of traffic terminating to international revenue share providers) between 2013 and 2015. The preferred method of attack is to hack a PBX/IP PBX system. Since 2013, high velocity PBX hacking -- where hackers take over a PBX system to make huge numbers of calls to paid lines, for which they receive a share of the charges -- increased by 67% to a total of $7.4 billion. Dr Howells pointed out that while the latest figures for known fraud are lower than in 2013 (reduced from $46 billion to $38 billion in the CFCA's 2015 study), it is impossible to gauge the level of losses from unknown fraud. Modern stealth attacks are invisible to traditional detection techniques. The CFCA survey pointed out that 88% of fraud experts believe that mobile revenue fraud is at least at the same level as 2013, or rising. Dr Howells said, "It is a commonly held belief that cyber crime is at an all-time high and an all-time level of sophistication, but crime can be stopped by using new technologies and techniques. Fraud analysts need ways to use the data available to them without burying them in hundreds of thousands of items of information to sift through. 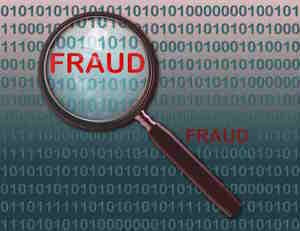 We cannot go about the business of stopping mobile fraud by looking at information in the traditional way. "Machine learning is one of the most important drivers of change in the meaningful use of data," continued Dr Howells. "Machine learning is transparently affecting many parts of our lives. It's time to use these techniques to defend subscribers and networks from fraud, subscription, and arbitrage attacks. We can use machine learning to apply the concept of 'customer 360' to detect and prevent mobile fraud, drawing from vast data lakes to create a view of 'crime 360' that quickly identifies the signals of an attack. Just as we have LinkedIn to detect degrees of separation between business colleagues, isn't it about time to start thinking about the degrees of separation between criminals?" Further details of strategies for using big data, machine learning and data lakes to fight mobile fraud are contained in Argyle Data's ebook, 'Fighting Future Fraud,' which is available for download here.